Is Beats 1 a threat for radio? Revolutionary? Let’s have a look at those 3 elements. It’s a music recommendation system based on your music library and your taste. Apple claims Discover’s suggestions are based on the criteria of a team of experts. They insist, both during the Keynote and on the website, on the human touch. However based on Jimmy Iovine’s words — “Algorithms can’t do it alone, you need a human touch” — we can assume that the company from Cupertino is combining human criteria with a music intelligent system based on algorithms, similar to The Echo Nest. The Echo Nest music intelligence platform is used by Spotify (who actuallyacquired The Echo Nest in 2014), Sirius XM for their MYXSM service or even IHeartRadio (previously Clear Channel Radio) for its individually customized playlists. Pandora, another of the competitors that will be impacted by the entrance of Apple Music in the scene, uses a music intelligence system based on their own (human) categorisation and codification of music attributes: The Music Genome Project. Even if we don’t consider Pandora a clear precedent, the combination of algorithms and human curation is not really new. This was Beats’ approachalready from the beginning. It’s not surprising that Apple Music is followingBeats’ steps. Tim Cook always said it was Beats’ music service what got his attention, the primary motivation for acquiring the company for $3 billion. It’s a live radio station. With presenters, DJ’s, shows, interviews. Broadcast from three different cities — New York, Los Angeles and London — . Clearly focused on music content and personality. Three hosts have been already announced: Zane Lowe (previously BBC Radio 1), Ebro Darden (HOT 97) and Julie Adenuga (former Rinse FM). You could say it’s like any other online radio station. Correct. With one of the most — if not the most — powerful brand in the world and its well known halo of coolness behind, their proven ability to stay laser-focused, endless resources and big personalities stolen from radio industry. 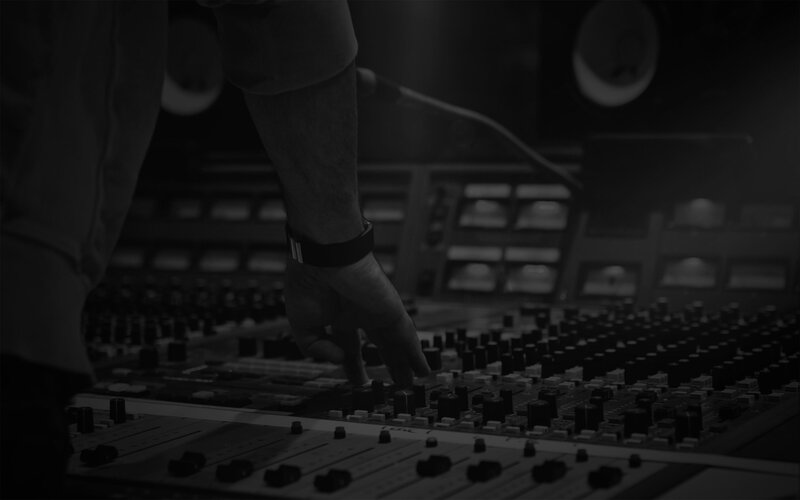 A number of non-live curated radio stations based on music genres, moods or topics. Songs are skippable: Trending Now, Soundsystem, The Mixtape, Soundfloor, etc. They are basically the global expansion of the already existing iTunes Radio in United States. Do you remember Ping? No? Ok, I’m not surprised. It was an absolute fiasco for Steve Job’s team. iTunes Ping was Apple’s first attempt to introduce a social platform that connected music artits and fans. Connect is basically an evolution of Ping. But it doesn’t look bad at all. Artists can centralise the communication with their fans in Connect, publishing text, images, audio. Artists — not only well known, new as well — publish their videos in YouTube, Vimeo or Vevo. They update their followers on Facebook or Twitter. They release demos, experimentative tracks, or any other audio not to sell on SoundCloud. Isn’t it easier in order to get known, or to convert followers into songs/albums sales, publishing any material in just one place? And not any place but the new music ecosystem where the clearly dominant store — AKA iTunes — that disrupted the music industry in 2001 resides. Will Apple Music disrupt the music industry, again? With this new music platform, Apple is merging some of its already existing services (iTunes, iTunes Radio, Beats Music, Ping) and trying to turn them into a conglomeration capable of generating the sufficient gravity force to attract most of the music business. In their own words, the definitive music ecosystem. Ok, it’s not revolutionary. But I’m sure Spotify, Deezer, Tidal, YouTube, Vevo, Soundcloud and others didn’t like it. Not every feature in Apple Music has been recycled from iTunes or Beats Music. Beats 1 is a pretty much unprecedented venture for Apple. If you are in radio industry, you have heard several times colleagues saying that Spotify is not a threat for radio because “Spotify is not radio”. Let’s wait until the launch day for Beats 1 (June 30th) and try to say the same about Apple. Or something better… let’s ask BBC Radio 1 what they think! I have the feeling that we are entering a new era. My bet: the “Beats 1 is just another linear online radio” is the new “Spotify is not radio”. And it’s true. I agree Beats 1, by itself, is not innovative at all. But if we use this argument for justifying the stagnancy of our industry we’ll be doing a great disservice to the future of radio. In previous articles I’ve already insisted again and again about the impossibility of innovating without losing the fear to fail. Embracing failure is the only way to face constant change. We need to fail. Fast. And learn. Faster. If we keep considering trying new things as risks that we cannot afford, we will continue getting closer to a fatal end. Those who say “that won’t work” are only giving tremendous advantage to the ones saying “what if it works”. Apple failed with Ping. And what? Here they are, trying again. And differently. Like with iTunes, iTunes Radio, Beats Music. Putting all together and trying again, differently. Please, radio colleagues, let’s not waste our time saying “Beats 1 is just another online radio station, zero innovation”. It’s just an (amazing) MVP. By doing radio, Apple is learning radio. Sure, they might fail. From failure they would learn. And try again. Then they disrupt. Do we want to fall behind? My name is Tommy Ferraz and I’m a radio guy and founder of a startup called Voizzup. Please, feel free to comment, discuss or add. I will appreciate it.